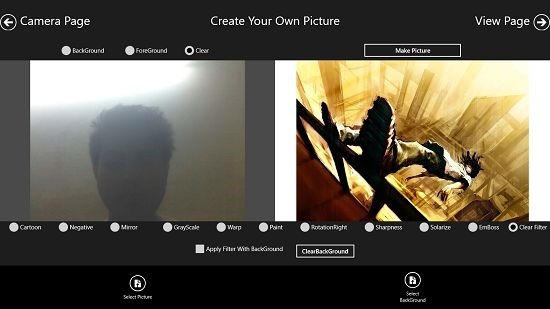 OneClick is a free app for Windows 8 and 8.1 which allows you to merge two or more images and apply filters to them. The app is unique in the way that via the app, you can choose to completely merge two images, or you can also choose to merge a part of your image over the other image. 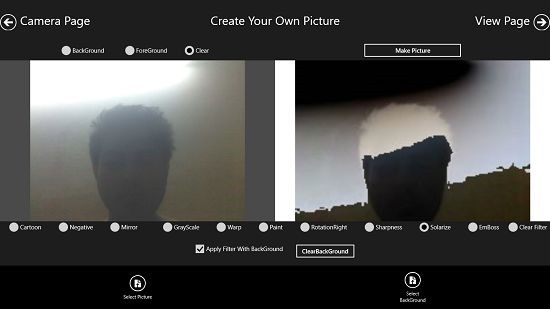 The app takes the first image as the foreground, and the second image that you select as the background for the image. You can then choose to select either a region of the foreground of the background or the foreground image that you wish to merge, or just leave it at that and merge the entire images themselves. OneClick is available for free from the Windows App Store. When you launch the app, you shall be taken to the landing page of the app. From here you can choose to open up an image either stored on your device, or use the camera toggle at the bottom left of the screen to snap away some images which you wish to use in the app. 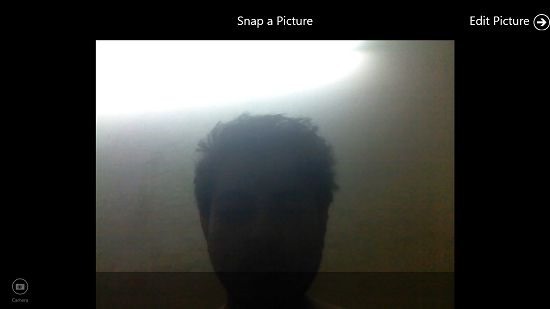 In the above screen, you can click on the Camera button to fire up the camera interface of the app. Once opened up, you will be presented with a dialog to grant access to the camera a mic. 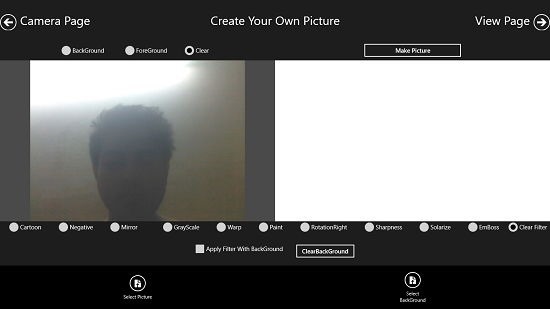 Once you have done that, you will be taken to the camera interface where you can click anywhere on the screen to click a photo. Once clicked, you will be shown your photo as can be seen here. Now, you may head into the editor of the app via the Edit Picture button at the top right. Simply click on the Select Background button at the bottom right to open up a new picture from your device. Now, choose the options from the bottom for the editing effect that you want, and once chosen, you can click on the Make Picture Button at the top right to combine your images. The combined images will be shown in the right side pane. The result of the combined images isn’t really that good in the above screenshot, but that is due to the fact that I chose to merge the entire images. If you want, you can also choose to draw a selection on the foreground and then choose the editing options. 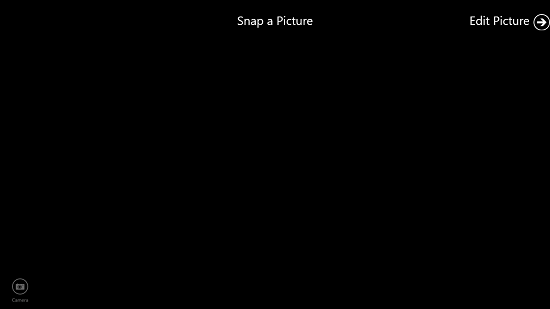 Finally clicking on the Make Picture button if you only want a region of the image to be combined to the background. Then you can head into the viewer interface via the View Page button at the top right, and from here you can save the image on your device. That’s all for this review! OneClick is a one of a kind app, true to its name as it allows you to merge two images in the least complex way possible. The app is ad free, and I highly recommend it!